Now online marketers can learn the method today's most successful authors are using to sell THOUSANDS of books online per year! More and more, I come across people who want to publish a book for all kinds of different reasons—to promote a business, fulfill a lifelong dream, commemorate a special occasion, et cetera—and they want it done quickly (e.g., within four to six weeks), and with a minimal upfront investment. These are the people (e.g., the online marketers) who would rather utilize algorithms to grow their readership than spend any amount of money on traditional forms of book promotion. These authors also want full control over their own creative processes and release dates, and they’re fine with selling their books online only. A perfect example of this type of author is today’s email marketer who is producing an “information product” (their lingo for “ebook”) as part of an ongoing email marketing campaign. 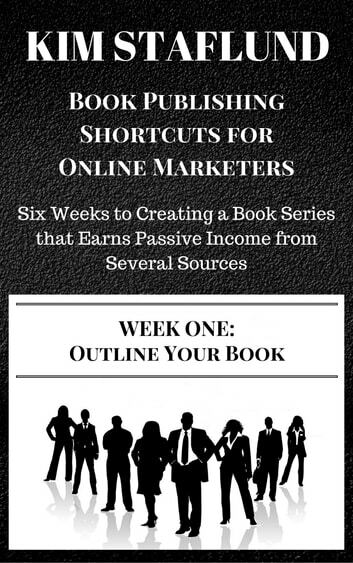 Today’s most successful online marketers know that ebooks, emailing marketing, and affiliate marketing are just as legitimate sources of passive income as real estate investment trusts and high dividend stocks are. They also know that the best way to grow one’s readership (e.g., subscribers list, followers, online fan base of any kind) is to provide genuine and consistent value that is highly useful to those readers. Ebooks are probably one of the most effective tools in an online marketer’s arsenal. An ebook is a portable business card that can be delivered instantaneously, anywhere in the world, for free or for sale, via email, blog, website, or ecommerce site. An ebook can be read in the comfort of one’s home or office, during a commute by train or by plane, or even when standing and waiting in line. Ebooks are easily searchable documents that can be hyperlinked to an online marketer’s blog or other important information sources, providing even further value to readers. Ebooks are quite easily updateable which is especially helpful to online marketers who wish to keep their information relevant and stay on top of the dynamic Internet. Best of all, there are hundreds of thousands of affiliate marketers out there who are more than happy to help online marketers promote and sell their ebooks all over the world. It’s like having a massive sales team without having to pay them an upfront salary! Many online marketers are now turning their previously-written blog posts into ebooks rather than starting from scratch to write a whole new document. It’s a great way to produce and share an ebook quickly which is what this series is all about: “rapid release” publishing. This “rapid release” publishing technique is used by many of today’s most successful online authors to grow their respective readerships quickly. It has produced seven-figure incomes for some and six-figure incomes for many others. Done right, it can work for online marketers, too. Self-Publish Your E-Book in Minutes! How To Write, Build Your Author Platform, And Self-Publish Your Book For Free: Publishing Without The Pricetag. Just Publish! 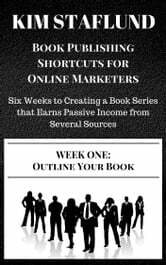 Ebook Creation for Indie Authors: Learn How to Write, Design, Format, Upload, and Sell Your Own Book for Low Cost or Free.